Poly Flex Drive Couplings provides a sacrificial link for driveline and gearbox protection. The couplings isolate torsional drivetrain vibration and gearbox chatter.They prolong bearing and seal life and reduce thrust induced driveline misalignment. 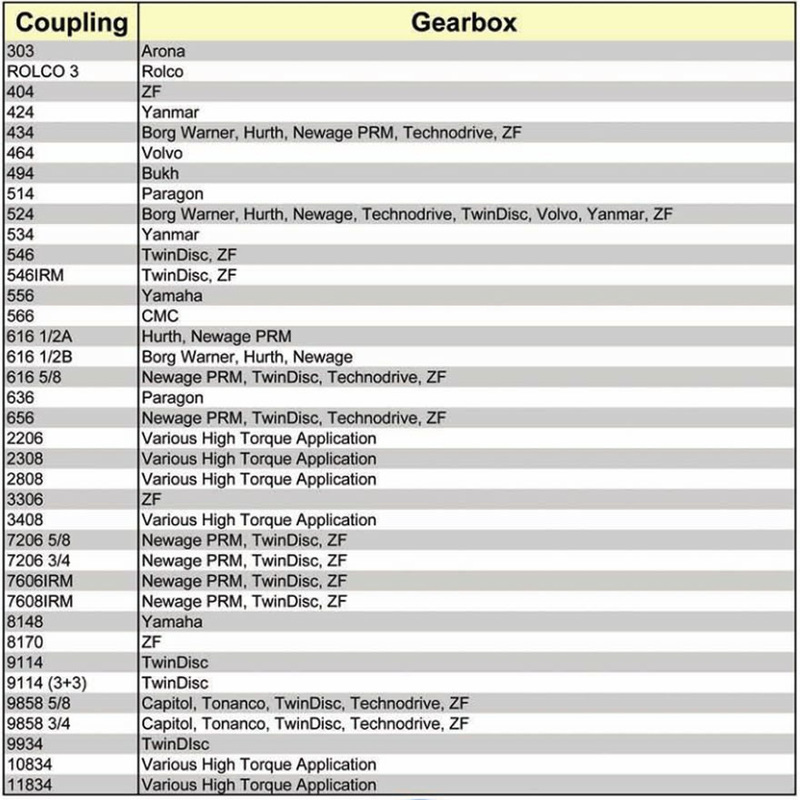 The Polyflex Flexible Disc Transmission allows smoother directional changes at the gearbox. All couplings have been tested to DNV Standards. Datasheets & DNV Certification are available on request. Drive bushes and threaded inserts are AS1443 S1214 Bright Steel. 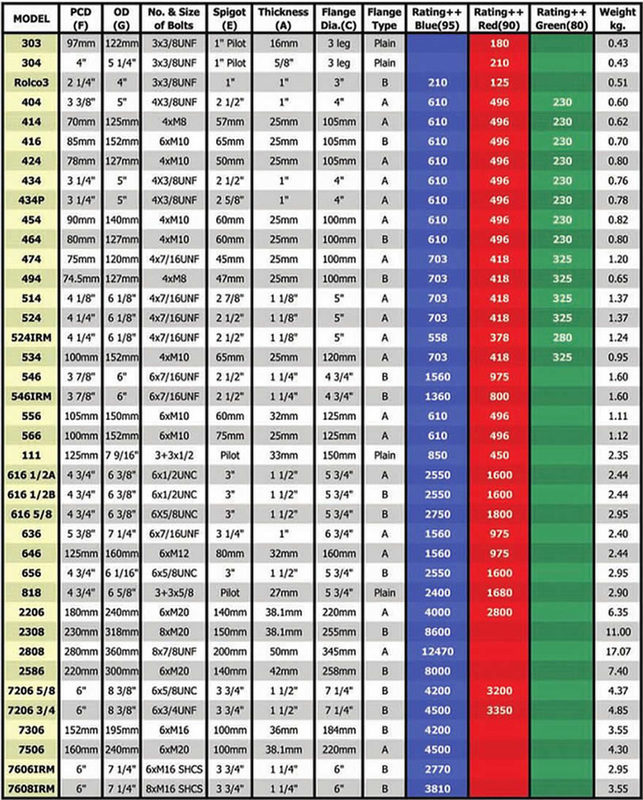 All Imperial bolts are Grade 5 & 8 high tensile. 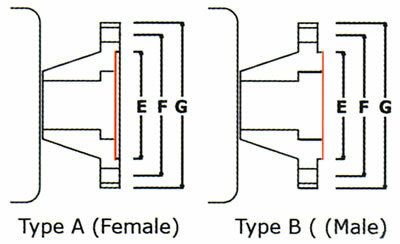 SHCS are grade 10 & 12 High Tensile. Socket Head Cap Scews are Grade 10 & 12 High Tensile. All steel parts are SAS Cobalt Zinc for extra wear and protection. 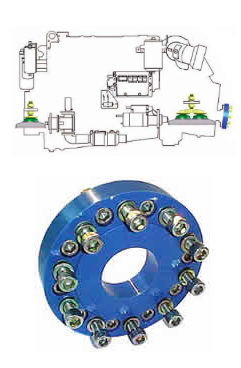 All installations of this series require a Flywheel/Coupling/Yoke Adapter to be fitted.